The award-winning poet and fiction writer discusses his latest novel, Deep River Night, which is set in a sawmill community in the B.C. interior in 1960. This interview originally aired on Feb. 26, 2018. A boy has climbed 40 feet up a rotting fir tree when a branch breaks and he falls into the river below, gouging his face. 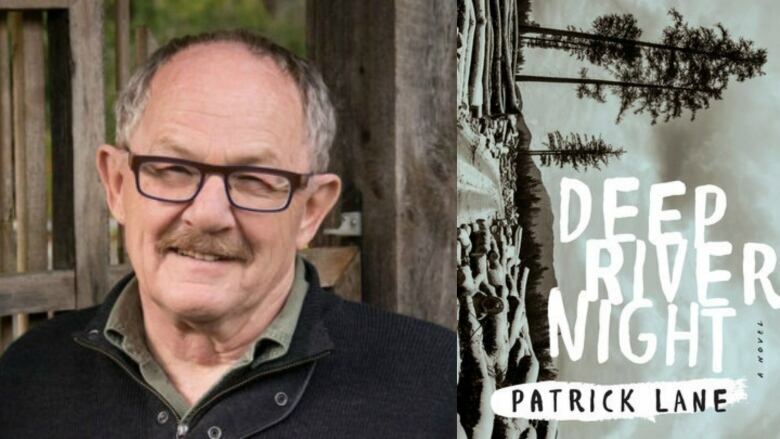 From here, Patrick Lane's new novel, Deep River Night, plunges into the story of a British Columbia sawmill village in 1960 and into the life of Second World War veteran, Art Kenning, a struggling alcoholic who is responsible for the first-aid in the tiny town. Lane packs plenty of life and brushes with death into the two short days over which the novel takes place. On top of that, there's a mystery to solve. Deep River Night is Lane's second novel. He's also written more than 20 books of poetry and an award-winning memoir. "The novel started seven years ago. I worked on it for a couple of years. I got about halfway through and deserted it. It disappeared into the vast place on the computer, and I forgot about the novel. My wife went on an annual retreat and I decided to clean things up, so I opened my computer. I was flipping through and deleting files, when I came across one named novel. I sat down and finished it in three months, writing another 250 pages. I fell in love with the characters again, with these people I had created, particularly the two boys." "My father sat in his living room chair, his wife was dead, his house was immaculate and his yard was just this ordered place — everything was clipped perfectly and he began to talk about the war. Two of the incidents that happen in the book were stories that he told me from his time in the war. As he told me about one of the instances, he just burst into tears. He was 93 years old and he started crying. He told us after that this was the first time in his life he'd ever talked about the war. He had never ever spoken of it before we had asked him. I said, 'Didn't you tell your wife?' He said, 'No, she never asked and I never told her.'" "I was given a huge vast province to write about that no one had ever written about before. A few people had, but there was this vast place that no one had ever written about. Small-town Prairies, Ontario, Maritimes and Newfoundland have all been covered. But small-town B.C., now that has not been covered very well, not from those periods of the '40s, '50s and '60s, when I grew up. That was the best thing that ever happened to me in my life." "I think if I'd written this novel in my 30s, I would not have done justice to these characters. This is an older man's novel. There's no question about that. I had a very busy life, a lot of children, a couple of wives. Then [my wife] Lorna and I got together. We've been together for 40 years and that's been a life mostly of poetry. Red Dog, Red Dog my first novel came along because I thought it was time I wrote a novel. I wanted to write at least one novel before I die and then this one just happened." Patrick Lane's comments have been edited and condensed.